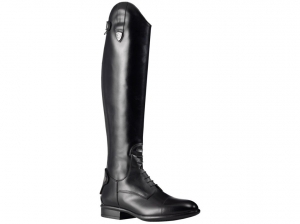 Tattini has the first Riding Boots with a (patented) "AirBoost" Ventilation System. This pumping air ventilation system is made up of cells communicating with pierced channels through which the air flows. The foot compresses this pumping structure and the air gets pushed into the cells before being channeled to a membrane valve, and finally exits from the hole in the heel. As the foot lifts, the cells return to their original position filling with air. The exiting air pushes on a tiny spring inside the valve that activates a oneway membrane thus preventing outside water from being sucked back into the heel’s hole. 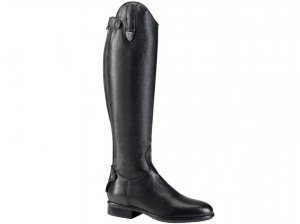 Tattini Bracco riding boots with rear YKK zipper, made of high quality natural grained calfskin with a elasticized back to ensure perfect fit and maximum adherence to any measure of calf, just like custom-made boots. SH, as in normal shin length model. They have a rubber sole with a leather inner sole that makes them exceptionally comfortable, light and flexible for an all-day wear. The heel has an extremely efficient shock-absorbing system that reduces the impact on the heel and overexertion of the foot. 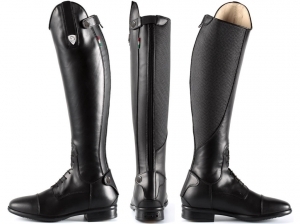 They are distinguished by the exclusive "Air Boost" ventilation system, the first ventilation system to be applied to horse riding shoes. Beside of rear YKK zip, they are provided with adjustable elastic front strings and decorative stitching at the tip. Tattini Breton riding boots with front laces and rear YKK zipper, made of high quality natural grained calfskin with a elasticized back to ensure perfect fit and maximum adherence to any measure of calf, just like custom-made boots. SH, as in normal shin length model. They have a rubber sole with a leather inner sole that makes them exceptionally comfortable, light and flexible for an all-day wear. The heel has an extremely efficient shock-absorbing system that reduces the impact on the heel and overexertion of the foot. 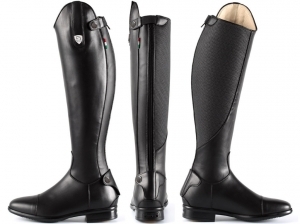 They are distinguished by the exclusive "Air Boost" ventilation system, the first ventilation system to be applied to horse riding shoes. Beside of rear YKK zip, they are provided with adjustable elastic front strings and decorative stitching at the tip. 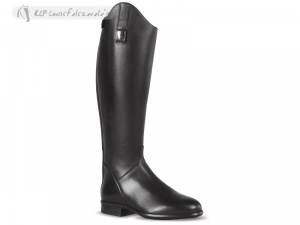 Now realized in even higher quality natural cow leather, provided with elastic in both sides and with the unique Air boost ventilation system, extremely comfortable, lightweight and flexible. 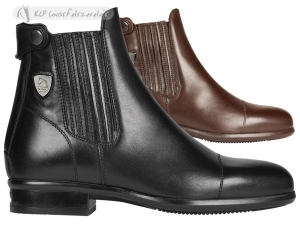 The new models have square toes and inner pierced footbed. Now realized in even higher quality natural cow leather, provided with rear zip and leather covered elastics on both sides and with the unique Air Boost ventilation system, extremely comfortable, lightweight and flexible. The new models have square toes and inner pierced footbed. 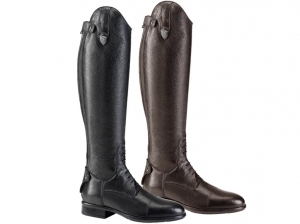 Tattini Beagle jodhpurs boots with elasticized laces. 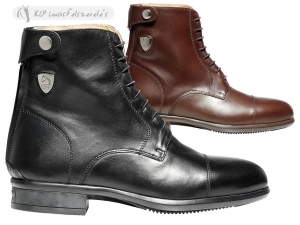 Now realized in even higher quality natural cow leather, provided with the unique Air Boost ventilation system, extremely comfortable, lightweight and flexible. The new models have square toes and inner pierced footbed. 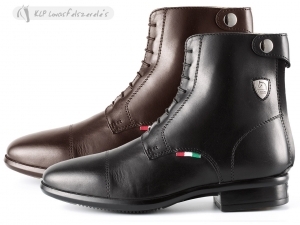 New line, new high quality natural leather. With rear zipper and patented Air Boost ventillation system. 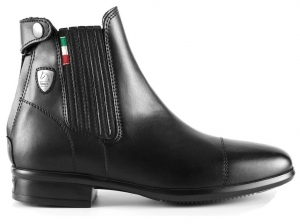 Unisex boots. 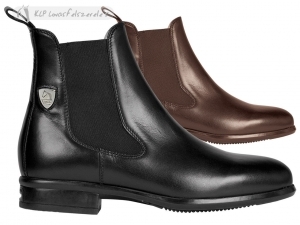 New line, new high quality natural leather. With front laces, rear zipper and patented Air Boost ventillation system. 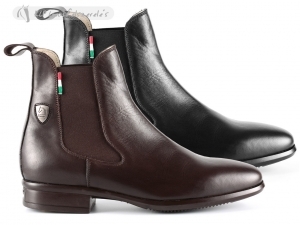 Unisex boots. Realized in natural cow leather, provided with elastic in both sides and with the unique Air boost ventilation system, extremely comfortable, lightweight and flexible. Realized in neutral cow leather, provided with rear zip and leather covered elastics on both sides and with the unique Air Boost ventilation system, extremely comfortable, lightweight and flexible. 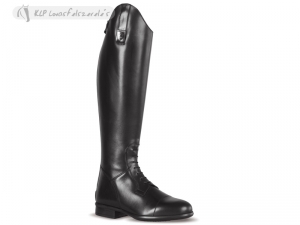 Tattini jodhpurs boots range has been now enriched with the new model Beagle with elastic laces. Realized in natural cow leather, provided with the unique Air Boost ventilation system, extremely comfortable, lightweight and flexible.